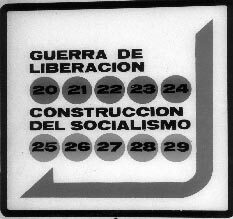 17–20 February 1998, Centro Capitolio, Havana. 26–28 February 1998, Columbia University/New School for Social Research/Goethe Institute, New York. Integral to this argument is the critique of such notions as ʻsocial controlʼ and ʻlabour aristocracyʼ, which have featured in standard accounts of the lack of working-class revolution. The idea that a potentially revolutionary proletariat was ʻcontrolledʼ by the ruling class is criticized for lacking speciﬁcity (in the explanatory and the historical sense), and as failing to conform to a historical materialistic analysis. The notion of a labour aristocracy (with its roots in Engels and Lenin) also runs into problems of deﬁnition and historical location. Indeed, it has been expanded to such an extent that any part of the working class that does not appear ʻnormalʼ can be sectioned off and blamed for undermining a proletarian revolution. Neocleous maintains that the theories of social control and labour aristocracy suffer from the same dilemma – namely, while both rely upon the ideas of struggle and the incorporation of the working class, they have difﬁculty in accounting for working-class struggle. Traditionally, the working class has been labelled supine, and whilst it may appear that to be incorporated the working class had to be a supine body, the reverse is the case: the working class was incorporated for the very reason that it was not. If it had not been incorporated, then it would likely have realized its revolutionary potential. Neocleousʼs alternative reading of working-class subsumption is based upon a multi-layered analysis of the integrated parts of the development of the working class. This begins by considering bourgeois revolution and the development of citizenship, and is then linked with the rise of trade unionism, the family, the laws of contract, unemployment insurance, and the development of the Poor Laws, the Reform Act, and the workhouses. This is a stimulating and insightful work, one that beneﬁts from tackling head-on, in a refreshing and provocative manner, the issue of a Marxist theory of the state. Part of its attraction is its originality, which stems from its refusal to be drawn into giving merely another exegesis of Marxʼs thoughts on the subject of the state. Anniversaries can be fraught affairs, as often melancholy as uplifting. Never more so than in Cuba today, a socialist system tottering on the edge of extinction. There was deﬁance in the very existence of the international conference on the one-hundred-and-ﬁftieth anniversary of the Communist Manifesto in Havana – deﬁance of the forces that would deny Cuba a future, and also, thereby, of certain of the realities emerging within Cuban society. Located in the Capitolio building, a 1932 replica of the Capital building in Washington, and coordinated by the Institute of Philosophy, a division of the Cuban Academy of Sciences, the conference was an ofﬁcial (not merely an ofﬁcially sanctioned) event. The combination of architectural grandeur and lack of basic amenities (no running water), characteristic of Old Havana, was powerfully symbolic of the state of Cuba itself. As was the need for foreign currency, which seems, increasingly, to provide the organizational imperative behind even such politically signiﬁcant events. Predictably, papers varied wildly in character, quality and interest. Broadly speaking, there were three main types of presentation: (1) recapitulations of ﬁxed positions, ritually presented as statements, without embellishment or critical intent; (2) analyses of the economic situation, both globally and in Cuba; (3) more theoretically and politically diverse discussions of different aspects of the text of the Manifesto. Participants were split more or less equally between Cubans and visitors, with three-quarters of the latter (about thirty-ﬁve) English-language speakers, from Australia, Britain, Canada, Germany, Turkey and the USA. The crippling orthodoxy of so many of the papers – denunciation of dogmatism in the style of dogmatism; philosophy as solidarity with established ideas – was offset, in part, by the insights they offered the outsider into how the Cuban party intellectual establishment is functioning at this moment in the history of socialism in Cuba. Conventions were far closer to Eastern European state socialism than I for one had imagined they would (or could) be – although the representation of women, as organizers and participants, was stronger. There was no reference to the history of Marxism in Latin America; almost none to any post-Stalinist Marxist traditions. The distinctiveness of Cuban Marxism was marked solely by the invocation of José Martì, whose name seems to function as a nationalist place-holder for Castroʼs, generalizing the class content of the Cuban stateʼs Soviet-style ideological pronouncements, through mythic continuity with its late-nineteenth-century past. However, orthodoxy was no means the preserve of the Cuban papers. US contributions included a denunciation by Erwin Marquit of the French Communist Partyʼs betrayal of the working class in its 1996 announcement modifying its conception of the exclusively class character of the state (so hot off the press, it was read directly from a laptop); and a surreal piece of sophistical dialectics in which the collapse of the Soviet Union was declared a disaster for, and failure of, capitalism – because of the stability its non-cyclical economy introduced into the world system – backed up by a quotation from a broker at Merril Lynch. Presumably, once China becomes a capitalist society, the chips will really be down. One had the feeling that even Hollywood (Red Corner, Tomorrow Never Dies) is ahead of the game here. More realistic North American contributions included Andrew Parkerʼs Foucauldian ʻWhat is a (Communist) Author?ʼ and Steve Crockerʼs Deleuzean ʻThe Speed of Capitalʼ, both of which demonstrated that there is interesting work to be done in re-engaging Marxʼs texts with subsequent theoretical resources. Disappointingly, Georges Labica (ex-Althusserian, author of Marxism and the Status of Philosophy), talking on the Manifesto itself, drifted off into conventionalism, after a bright start. The papers on globalization – ʻGlobalization, what globalization?ʼ – were largely disappointing, though there was an informative paper on the forthcoming OECD Agreement on Mutual Investment, and a lively piece from Stuart Rosewarne on ʻClass Struggle Down-Underʼ, about the situation in Australia. It was certainly refreshing to be at a conference at which questions of international political economy were discussed alongside issues of temporality and authorship. It reminded one of the inhibiting cultural effects of the academicization of left intellectual life in Britain over the last ﬁfteen years Wolfgang Haug spoke on the Manifestoʼs prioritization of struggle over being. If, as he summarized his reading, ʻthe contradictions are our hopeʼ, there will be plenty of hope in Cuba for some time yet. Whether there will be much else for the socialized sectors of the economy to rely upon is another matter. The ﬁftieth anniversary of Adorno and Horkheimerʼs Dialectic of Enlightenment fell in 1997. Given its history, it is perhaps ﬁtting that the conference organized to celebrate it in New York should have failed to make it on time. But this was not another case of belated recognition. Far from it. Reluctance to praise the text was palpable; ambivalence the visceral response. It was not hard to see why. For how are followers of Habermas to celebrate Dialectic of Enlightenment in the wake of their forced marriage of its tradition to functionalist sociology and Rawlsian political theory? This was a question which became more weirdly fascinating as the event wore on. The organizers were determined not to be boring. Hostilities began with a talk by Richard Rorty. It was a robust assault. Predictably provoked by the bookʼs ʻanti-Americanismʼ into a show of philosophical and political patriotism, he insisted that it contains ʻno argumentsʼ, but only ʻa series of rantsʼ. He proceeded to identify ʻﬁve false opinionsʼ it perpetrates, which he claimed are now disseminated in the USA by Foucauldians. (Yes, itʼs all the same out there, among the theorists of modernity.) Thereafter, he used the occasion to rehearse potted versions of his established positions on pragmatism (ʻthe saving power of US industrialismʼ) and the relationship between philosophy and politics (ʻthere is noneʼ). This was a vintage display of the anti-intellectualism and cultural complacency, laced with disingenuous-ness, for which Rorty is justly renowned. He seemed unaware that his two main claims – that Nietzsche represents an extension and self-correction of Enlightenment, and that aspects of Enlightenment politics can be continued on that basis – were made some time ago by the principal object of his derision, Foucault; or that Nietzsche has a fairly central role to play in Dialectic of Enlightenment itself. But this hardly mattered. Engagement with the text and its ideas was not why he was there. Rather, having opened up a gulf between the podium and the book, he had set the stage for those who followed to appear to be closing the gap, however distanced their concerns from those of the book itself. This had the whiff of genius. The rejections of the book which ensued were thus able to dissemble the continuation of its tradition, without a hint of dialectic in their negation of its positions. Both Axel Honneth and Albrecht Wellmer gave papers of symptomatic signiﬁcance in this regard: Honneth in his defence of ʻworld-disclosingʼ diagnoses of ʻsocial pathologiesʼ as a legitimate practical-philosophical activity, alongside theories of justice; Wellmer in his application of the discourse-ethical conception of subjectivity to a critique of Adorno and Horkheimerʼs reading of the myth of Odysseus. In each instance, the proximity to Dialectic of Enlightenment threw harsh light on the state of the Habermasian problematic purporting to succeed it: methodologically in the awkwardness of Honnethʼs idea of a world-disclosure which is neither ʻaestheticʼ nor concerned with truth, yet is still somehow ʻexplanatoryʼ; more substantively in the idealism of Wellmerʼs conception of a subjectivity formed without renunciation, and the lack of tension in his corresponding conception of art, as just one practice of freedom among others. In its baroque accumulation of ad hoc modiﬁcations, the degenerative state of the Habermasian research programme was cruelly exposed. However, unlike their New York compatriots (content to keep playing the scratched record of New School political theory: ʻwhere are your universally discursively justiﬁed normative criteria?ʼ), Honneth and Wellmer each displayed intimations of the situation, in their intermittent consciousness of the historical and existentialpolitical thinness of their ʻbetter theoriesʼ. Yet neither appears ready to address the problem at its intellectual source. The most successful session was the one on antiSemitism. Anson Rabinbach argued for the centrality of ʻElements of Anti-Semitismʼ to Dialectic of Enlightenmentʼs argument about Enlightenment, and highlighted the problematic anthropological universalism of its address – the peculiar lack of speciﬁcity in an analysis which was a direct response to news of the situation in Germany in 1943. (There are ʻno Jewsʼ in ʻElements of Anti-Semitismʼ.) Andreas Huyssen gave an enthralling reading of Art Spiegelmanʼs comic-book Maus, as a counter to the false polarizations of contemporary debates about representing the Holocaust, in the name of a non-regressive, reﬂective form of mimetic approximation. It was during the discussion that followed – six papers into the event – that the words ʻcommodityʼ and ʻreiﬁcationʼ were uttered, brieﬂy, for the ﬁrst time. (Dialectics went without a mention throughout, despite the conference title.) The culture industry was the only one of the bookʼs main themes not to have a session devoted to it, although there were two on aesthetics. The psychoanalytical dimension of the text was, predictably, more eagerly discussed. Joel Whitebrook expressed disquiet about the ʻbad utopianism of a de-differentiated subjectivityʼ in Adornoʼs critique of sublimation, and pressed for a non-egoic conception, along the lines of Castoriadisʼs work. Slavoj ˘Zi˘zek compared Horkheimerʼs with Lacanʼs reading of the Kantianism of Sade. For Lacan, he insisted, rather than exemplifying the moral law, Sade betrays the stringency of Kantian ethics. Kantʼs ethics are more Kafkaesque than Sadeian, since we cannot legitimately determine in advance the content of the duty we are nonetheless commanded to perform. However, in its identiﬁcation of the pleasure we derive from our defences against superegoic regulation, ˘Zi˘zek judged Dialectic of Enlightenment a ʻpresentimentʼ of an important phenomenon which is far more prevalent today. This was the strongest positive judgement of the book offered over the three days. The closest thing to an Adornian paper was given by a Derridean, Alex Düttmann, who spoke about the constitutive role of exaggeration in thought. Which takes us back to our starting point. How do Habermasians celebrate Dialectic of Enlightenment? Tied ﬁrmly to the mast.